Monica and I were fortunate to find this historic church in Kingston NB still open after Sunday service but just about to close for the day. 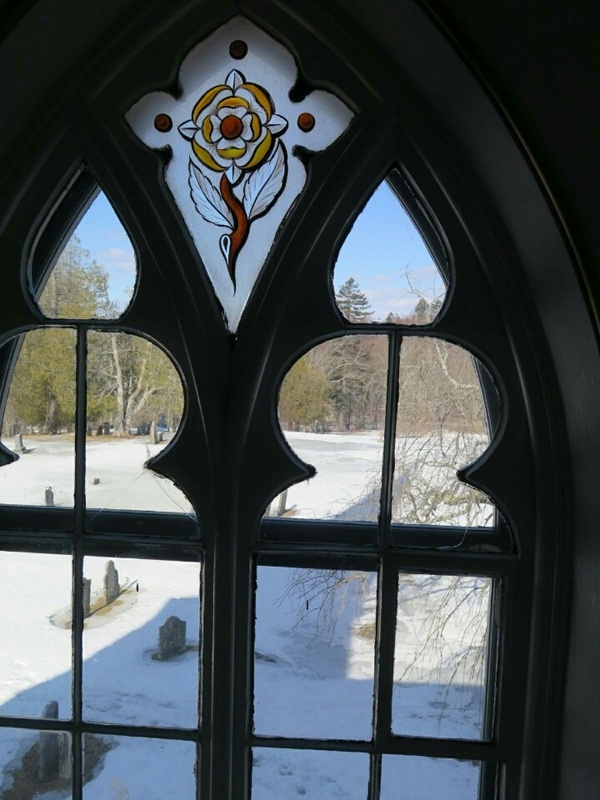 Trinity Anglican is NB’s oldest Anglican Church dating to 1789 and is probably haunted. Reverend Painter welcomed us in for a few photos and pointed out some of the wonderful historical treasures such as the original NB provincial seal and Canada’s oldest pipe organ. Such history! The stained glass is delicate with painted emblems and commemorative script. For all photos, visit World Windows and look for Kingston, NB.